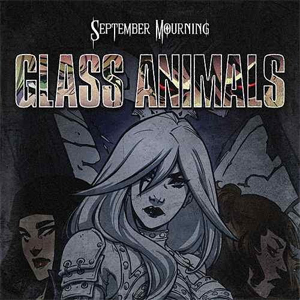 Hard Rock Graphic Novel Art Project SEPTEMBER MOURNING has released the official music video for their newest single, "Glass Animals". Watch the video for "Glass Animals" on KNAC.COM HERE. Shortly after "Glass Animals" drops, Image Comics is releasing September Mourning The Complete Collection co-created by Lazar and Marc Silvestri, co-written by Mariah McCourt and David Hine, illustrated by Sumeyye Kesgin and Tina Valentino and published by Top Cow. “In a world where Reapers prey on the souls of the living, imprisoning them in the shadow-land of Mortem, there is one last hope for humanity.... September Mourning” describes Lazar. The graphic novel will be sold in comic stores, books stores (Barnes & Noble) nationwide and on Amazon.